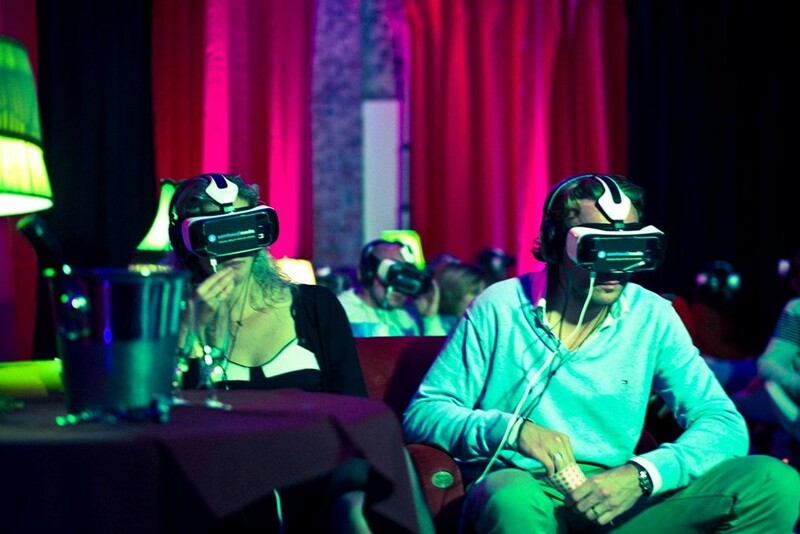 Is Virtual Reality going to transform cinema? VR is slowly becoming the new norm and in twenty years time a lot of what we do will be accessed through virtual reality – so how it will affect the film world? With VR showcases at all the forward-thinking film festivals in the world, Sundance, Tribeca and TIFF, 360 videos and installations have become a regular festival fixture. Even the more conservative Cannes had a very impressive VR display this year, alongside VR masterclasses and panels athering some of the key players in this burgeoning and exciting industry. But is VR going to transform cinema? Most of the VR experts I spoke with are pretty certain that the landscape of entertainment is definitely changing and that VR will be a big part of the industry’s story going forward. It all depends on technology becoming better and better and technology is advancing at a dizzying pace. Here, we investigate how this new tech might transform the face of cinema. It’s only been a couple of months since Mark Zuckerberg launched Oculus Rift, the first consumer VR headset capable of delivering true presence, and already a new product has appeared on the market that takes the experience a notch further. 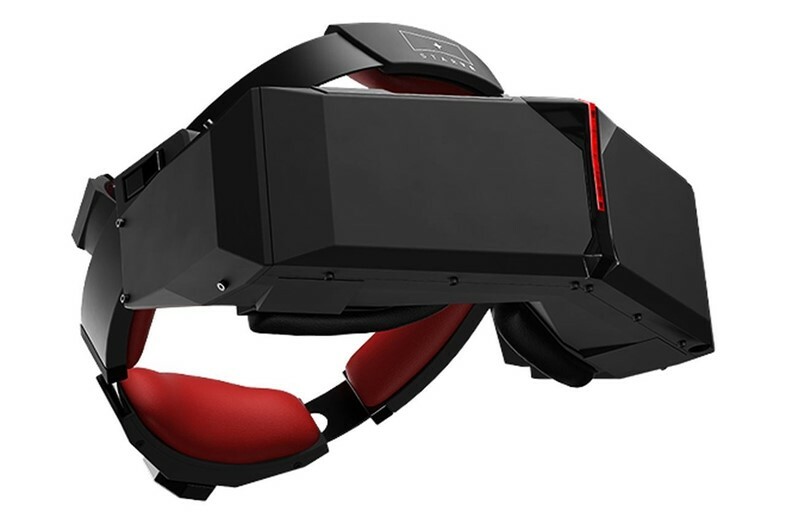 At Cannes 2016, the Swedish company Starbreeze, one of Europe’s oldest game development studios, showcased StarVR, a Head Mounted Display (HMD) that delivers unparalleled 5K resolution and a 210-degree field of view (an improvement on the 180-degree field of view). This provides the most immersive VR media experience on the market today. As one of the many VR-curious journalists to test it, I must agree that 210-degree experience yields some astonishing results, precisely because it imitates the peripheral vision we have in real life. “If you lose peripheral vision, you lose detail”, Michael Hjorth, the chairman of Starbreeze, told me. As a demo, I got to watch a short-film teaser called Cockatoo Spritz, written and directed by the French filmmaker Stephane Barbato (Play the Game). Cockatoo Spritz is a dazzling, most baroque construction where your senses are indulged at every step of the way. In the fanciest of locations, a funky jazz cabaret of yore, you’re surrounded with a myriad of artists and eccentrics who sometimes get so close to you, you can almost feel their breath. Towards the end, an explosion of feathers fills your entire field of vision. To make sure I didn’t miss it, the director had to turn me around as he knew I was looking in a different direction. Which wasn't my fault – Cockatoo Spritz is such a seductive universe that looking is something you can’t have enough of. And there’s a lot of action happening around you in Cockatoo Spritz, this being a highly choreographed piece. What makes it very special is the 3D effect that Stephane has included, which was only possible by having two screens in the headset. Asked about the challenges of shooting in VR, Stephane explained: “I don’t care about the difficult bits, I love the freedom that VR offers. In classic movies, there are constraints, but I'm interested in how to find freedom in this new playground”. Giant is the emotional story of a family’s last moments in war-torn Serbia before a ceiling collapses on them (and on you, because you’re sharing the virtual space with them). Its creators, the New-York based Milica Zec and Winslow Turner Porter, decided to mix live action with a video game engine instead of just shooting in 360 video. That's because “360 cameras are not perfect yet, you can see the stitching and that can pull you out of the experience", Milica said. “Immersion is really important for us and if we just shot with 360 video, it’s not nearly as immersive because you can’t move, you can’t explore", explained Porter. However, the filmmakers also agreed that this is more of a passive experience. “Because of a huge limitation in technology right now, we shot with only one camera, the actors can’t go around it and they also had to be far from the camera,” Milica explained. I saw a lot of other VR pieces in Cannes, each of them very different. Jetleg, written and directed by Pierre Friquet with cinematography by Andoh Shah and produced by Jeremy Sahel, is a sort of ballet drama about the long-distance relationship between two women who live in India and Brazil and the filmmakers' focus was to capture an atmosphere rather than tell a story. A completely different experience was Defrost, a VR series told entirely from the first-person point of view. The story takes place in the year 2045, when liquid nitrogen is commonly used to freeze patients until a cure for their illness has been developed. Its creators showed the first episode at Sundance this year and by now they have developed eleven more, in an attempt to bring a new episode to each festival. What's Defrost like? “It’s like my favourite TV episode, like House of Cards or Breaking Bad where there’s a really funky twist at the end and every character has an agenda,” the producer Tanna Frederick told me. And what is it like, trying to tell a story in VR? “Narrative VR is just like theatre, the camera is the audience, it’s like the rehearsal for a play, it was a beautiful theatrical meets technological experience,” Tanna concluded. Another VR filmmaker who’s doing things slightly differently is the CEO of Apelab, Emilie Joly. Emilie has a background in film/animation and interactive design and she can actually do creative coding, a key skill in VR. In Cannes, Emilie presented animation pieces inspired by Miyazaki and Japanese anime where the story takes into account where the user is looking without it being apparent. For instance, a character will enter the scene because you're looking at the stairs over there and this will trigger something else behind you. In other words, you'll have a different experience depending on where you look, which makes the content really crazy. “The ideal story is that all characters have their own story”. With everyone very excited about VR as a new storytelling medium, I wanted to find out from VR producers what kind of content they were looking for. With this in mind, there was still a question that was bugging me about the whole thing: what can VR, like 3D before it, add to the storytelling experience? Cinema is a medium that works because the director tells you where to look. But VR can’t do the same way, ’s no focusing in VR, there’s only absolute freedom. So how will VR filmmakers cope with this? “You let go of control", Milica Zec told me. Will this still be cinema though? “Not really, it won’t be the same technique and timelines, with VR you’ll invent your own narrative”, added Porter. When asked about how VR will influence or transform cinema, Emilie said: “You can’t take the film format and put it in VR as it is. With VR, you’re giving the user interactivity even if you’re in a linear video, because the person is moving around. But it gets a bit frustrating just moving around and realising nothing much is happening. You want more. An hour long experience that is video is going to be very painful for the user. So if the user becomes a bit more active, he’s going to last a little longer, because the nature of VR is active by itself". And with this, I fully agree. VR may seem exciting at first but you quickly become bored if there’s nothing for you to do in this space. This is why interactive video games are a lot more engaging. For instance, in Walking Dead, a co-op first person shooter with elements of action, role-playing, survival horror and stealth, you get to play the role of a survivor fending for himself in a post-apocalyptic world dominated by flesh-eating zombies. It's not just immersion that is special in VR. The best cinema is equally “immersive” in spite of being 2D, immersion being the result of what's happening inside your head, rather than the space you’re seemingly inhabiting. VR is a lot about interactivity. “If we don’t want this to be just another gadget, like 3D, it really needs to go beyond what it is now,” said Emilie. So what shall we expect from VR in the future? Is VR the next big thing in storytelling, will it transform cinema, will it take over the real world?! I seriously doubt it. “Immersiveness”, the chief quality that VR boasts, is not enough. The beauty of storytelling and of any piece of art (poetry, painting, music) is the meaning it creates, and this meaning can only be achieved by placing the “creative elements” (images, words, sounds, strokes of colour) in a certain order. In contrast, VR plunges you in a universe with total freedom as to where to look. Also, the fact that VR resembles another art form, theatre, something that many of the VR filmmakers emphasized, goes against it: it means that VR won’t have its own specific language, it will be more like a theatre meets technology experiment.